Asus Work On All IT Segment ~ " World Information "
Jakarta. Asus did look 'diligent' and present in various segments with the number of variants are launched. Why are they not focusing on one segment like Apple? "We do exist in all segments. Because it is innovation and that's the difference with other products," said Rex Lee, Regional Director Asus South East Asia, APAC, in a talk at dinner time, detikINET at the Sheraton Taipei hotel, after visiting Computex 2011 which was held May 31-June 4 2011 in Taipei, Taiwan. He added several premium brands do not have a good quantity and only in the upper segment only. 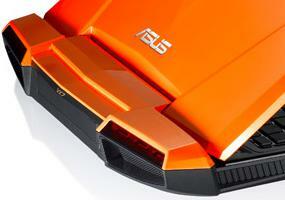 "Well, now Asus is only in high-end segment, it will be higher and slow moving," added Lee. Asus boss is also likens Jaguar cars are quite popular and expensive, but small sales figures. Asus did not want to like it. "We still expect a large share of Asus products that exist,"he concluded.